What do ahi tuna, albacore tuna, marlin, spearfish, sword fish, red snapper, mahi mahi, moonfish, monchong and ono all have in common? They’re from Hawaii! 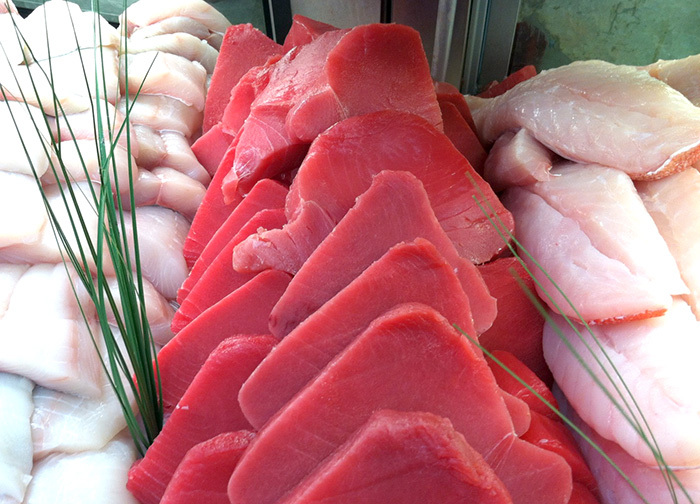 What do ahi tuna, albacore tuna, marlin, spearfish, sword fish, red snapper, mahi mahi, moonfish, monchong and ono all have in common? They’re from Hawaii! And they come to our stores in Wisconsin from our friends at Honolulu-based Garden Valley & Isle Seafood. The company goes above and beyond when it comes to sustainability, which is something we take pretty seriously. All fish in Hawaii, including fish from Garden Valley & Isle Seafood, are caught with hook and line. That means no nets that pick up anything and everything from the water. They’re experts in fishing AND preparing fish for our seafood cases, just watch as they show how to break down an Ahi Tuna. Garden Valley has some great connections, which allow it to ship to the continental United States in as little as 24 hours, making it a perfect partner for our Fresh Flight Fish program. Our Mealtime Mentors have some incredible recipes for tuna, including this Ahi Tuna Burger recipe and Seared Tuna with Avocado Salsa.